In 2016, the Chicago Cubs won their 1st World Series title since 1908, coming back from 3 games to 1 to beat the Cleveland Indians. One of the best collectibles from the World Series is the Chicago Tribune paper from the morning after. Original front page. Paper is dated November 3, 2016. Frame measures 14x26 and comes ready to hang. Black color frame. 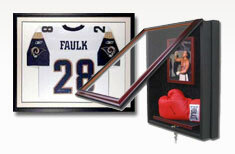 Perfect item for an office or sports room. Newspapers won't be around forever, making this collectible and instant classic. Item is not autographed. ORIGINAL FRONT PAGE.